With seemingly little difficulty, Team SoloMid defeated FlyQuest 3-0 on Sunday in the second match of the 2017 NA LCS Spring Semifinals. 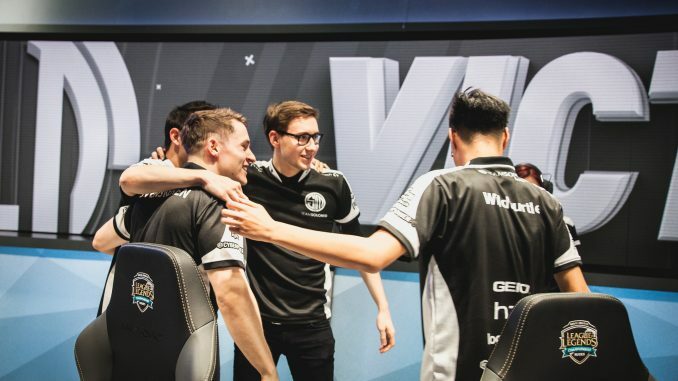 With this win, TSM has earned a record ninth-consecutive NA LCS Finals appearance and a rematch with longtime rival Cloud9. TSM outplayed FlyQuest in nearly every skirmish this series and the team looks to be in championship form as they head into the Grand Finals of the NA LCS Spring Playoffs. 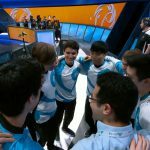 FlyQuest jumped to an early lead in Game One, and slumping TSM jungler Dennis “Svenskeren” Johnsen could not keep up with the map movement of FlyQuest’s Galen “Moon” Holgate and Hai “Hai” Lam. However, TSM turned the game around by consistently outperforming FlyQuest in team fights during the midgame. After Svenskeren successfully defended a Baron Nashor steal attempt by Moon, TSM used the buff to methodically pressure lane after lane to take down inhibitors and systematically close out Game One. Svenskeren bounced back early in Game Two, using clever jungle pathing to surprise FlyQuest across the map. TSM once again continued to outplay FlyQuest in 5-on-5 team fights, building a 7k gold lead by the 23-minute mark. 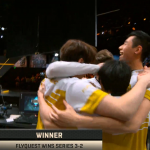 FlyQuest nearly turned the game on its head after an overextension by TSM in the top lane that left three TSM members dead and allowed FlyQuest to take an uncontested Baron Nashor. 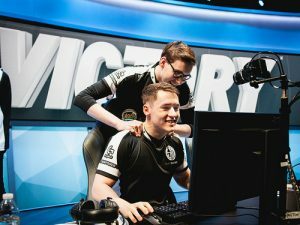 However, after an impressive flank by Svenskeren killed FlyQuest AD Carry Johnny “Altec” Ru, TSM broke into FlyQuest’s base to destroy the nexus and go up 2-0 in the series. TSM continued their team fight dominance in Game Three. Even with FlyQuest securing First Blood for the third-consecutive game, TSM was simply executing on another level. 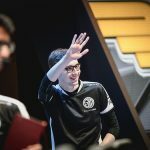 Soren “Bjergsen” Bjerg was masterful on the Taliyah pick, poking Hai’s Orianna as skirmishes began to keep him from impacting team fights, and using the generated terrain of Taliyah’s Weaver’s Wall to split the FlyQuest carries away from teammates. FlyQuest simply never found an advantage, and TSM once again used a game-ending Baron Nashor buff to flood the FlyQuest base and end the series 3-0. It’s a disappointing end to a surprising season for FlyQuest, whom many predicted would end the season at the bottom of the standings. 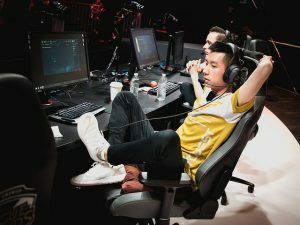 While FlyQuest will not represent North America in the Mid-Season Invitational, it’s hard to consider their inaugural season as anything but a success. 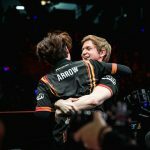 If they defeat Phoenix1 in next week’s 3rd-place match, it’s easy to be optimistic about their outlook for the upcoming Summer Split. 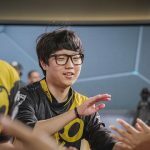 The NA LCS Spring Playoffs will continue on Saturday, April 22nd, as FlyQuest takes on Phoenix1 in the 3rd-place match. 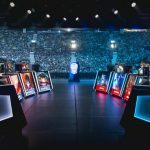 TSM will face Cloud9 Sunday, April 23rd in a rematch of the 2016 NA LCS Summer Finals Both TSM and Cloud9 swept their opponents 3-0 this weekend, so next week’s finals match is sure to be an impressive one.